Almost every person in the world will want to look slim, fit, and healthy. To achieve such a body, it is important that one learns to keep their weight under control. Eating too much, doing no physical exercise etc. can easily make you overweight and look out of shape. In this post, we will look at a few top tips that will help you prevent gaining any excess weight. Sugar is one of the biggest reasons for weight gain. If you have a habit of eating foods laden with sugar like candies, ice cream, etc., then you should definitely start thinking of cutting down the consumption of such foods. In addition to making you fatter, excess sugar consumption can also lead to health issues like heart diseases, high blood pressure, diabetes, and so on. In addition to sugar, you should also reduce the consumption of oil-rich foods. Now, you should distinguish between the good fats and bad fats before avoiding fatty foods. Good fats, as the name suggests, contribute to the health of your body. As such, consuming them will keep your body well-nourished. An excellent example of good fats is the Omega-3 fatty acids that are typically found in fish and certain nuts. In contrast, bad fats tend to do damage to your body and make you pack on weight. Trans fats is a good example of such fats. Found mainly in fried foods, trans fats can not only make you gain weight but can also worsen the cholesterol situation in your body. There are a lot of fad diets on the market which will promise you incredible weight loss targets. Be wary of such diets and stay away from them. You should understand that if something sounds too good to be true, then it probably is a scam. So, if a diet program promises to help you lose 20 kilos in 2 weeks or something, then go with what your common sense says and reject such fad diets. The main problem with these diets is not that they are useless, but that they can end up causing severe damage to your body. There are people who have even died because of trying out bizarre diets. So, only choose diets that have a strong evidence backing their claims. 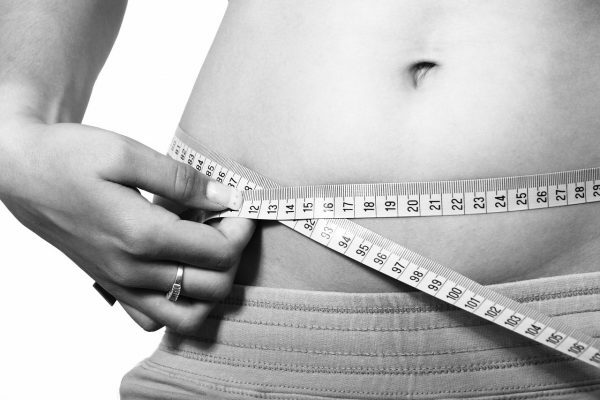 An important factor that will help you manage your weight is the body’s metabolism rate. The higher the metabolism, the faster it will burn the calories, thereby avoiding any significant fat deposits in your body. As a rule of thumb, it is a good idea to eat something every three or four hours as this will keep the metabolism active all through the day. Never starve yourself or skip the meals as this can lower your metabolism. And then when you eat too much, the lower metabolism will not be able to properly burn the calories, because of which you will end up getting fatter. You should make it a point to include sufficient amounts of protein in your food. Protein helps in making a person feel satiated. As a result, people are less likely to overeat since their hunger pangs will be under control. It is better to spread out the protein intake throughout the day. This will ensure that you have a lower tendency to eat extra foods. You must also consult a good physician before starting a diet. No matter how effective a diet plan is, it can end up causing health issues if your body is not able to tolerate the physical changes that will result from adhering to a diet program. A physician can advise you on the best ways to accommodate a diet plan in your lifestyle without causing any health issues. This is why Samantha Webster from HCG Diet (https://hcgdiet.com/) explains that although the HCG diet has been proven to cause rapid weight loss you should still consult your physician first. Dieting alone will not help you maintain your body shape. For that, you need to do regular exercise. How regularly you need to exercise will depend on your body composition. Visit a local gym and consult a physical trainer. They should be able to come up with a workout schedule that will help you tone your body and get it ripped. However, you must remember to never overexert yourself when doing exercise. Take a few breaks between the workouts and you will get better results. Concentrate on exercises that increase your muscle mass. This will help you burn down the excess fat in your body. Try out full body strength exercises. These workouts will enable you to build up your muscle mass, increase the density of your bones, and will also improve the body’s metabolism. Be wary of investing too much time in cardio exercises since these exercises will only work to waste your muscle mass. In addition, a workout that solely focuses on cardio exercises will never help you create a lean body. If you are not much into workouts and only do light exercises when you get free time, then it is recommended that you make a morning walk a part of your daily routine. This will also help to boost your metabolism. And by working out the muscles, you can maintain their flexibility. You must also sleep well daily. Though sleeping is not an ‘exercise’, it does have an effect on the workouts you do on a regular basis. Sleeping for about 8 hours every day will ensure that your body has received proper rest. As such, all the intense exercises you do will produce much better results. Among the numerous psychological blocks people have when looking to lose weight, the biggest one seems to be a kind of a ‘loser’ mentality. People with such an attitude generally see themselves as being destined to forever remaining fat. And because of such a viewpoint, they never even try to implement a new diet or start working out since they think that such actions will not produce any results. If you have such a mentality, then it is important that you get rid of these thoughts. Only then can you hope to keep your weight in check and maintain your body shape. Some people also are pretty afraid of trying new things. For example, a person concerned with the possibility of weight gain might plan on joining a gym. They might even visit the gym for signing up as a member. But when they see the intense training involved in the workout, they might chicken out and abandon the physical training fearing that the exercises are too tough that they might get hurt. You need to learn to conquer the fear of trying new things. Instead, develop an attitude which will allow you to explore new things with confidence rather than fear. And with this state of mind, you will be able to commit yourself fully to any weight loss workout or methods. Finally, learn to never compare yourself with others. Maybe other people are able to lose more weight by putting in less effort while you have to work very hard to even lose a couple of kilos. Don’t be disheartened by such occurrences. Understand that everyone is different and that each human body will have its own way of developing itself. Focus only on your goal of creating a fit body and you will succeed in doing so. Instead, if you keep comparing yourself with others and always worry about why you are not losing weight as fast as others, then your attitude will probably never allow you to lose weight and develop a fit body.